We celebrated God’s love for the world and we celebrated our partnership with Lutherhill Ministries on the weekend of August 22-23, 2015. Our guest speaker from Lutherhill was Matt Kindsvatter. He serves as the Executive Director of Lutherhill Ministries. 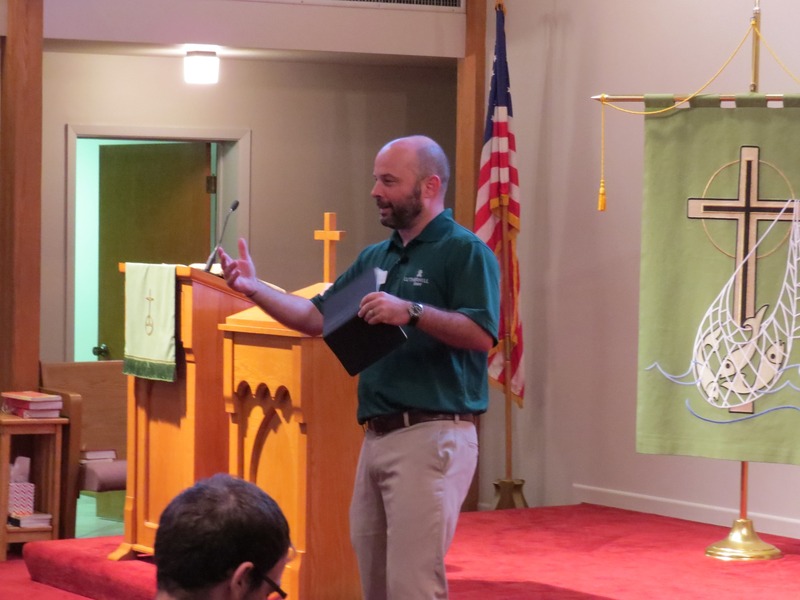 Matt is a familiar face at MLLC, since he has been a guest preacher several times over the years. Matt was the preacher at both the Saturday evening and Sunday morning services. 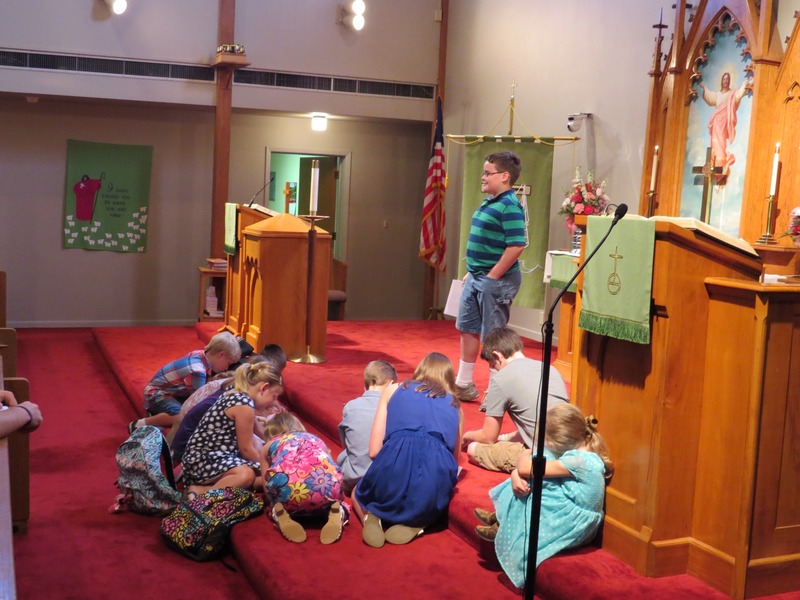 Several of the youth from the congregation participated in the service. The Lutherhill staff members worked with the youth to prepare a skit for use in worship on Sunday. The skit reminded the congregation to share God’s love with others. Here is a photo of the MLLC Thespians in action. 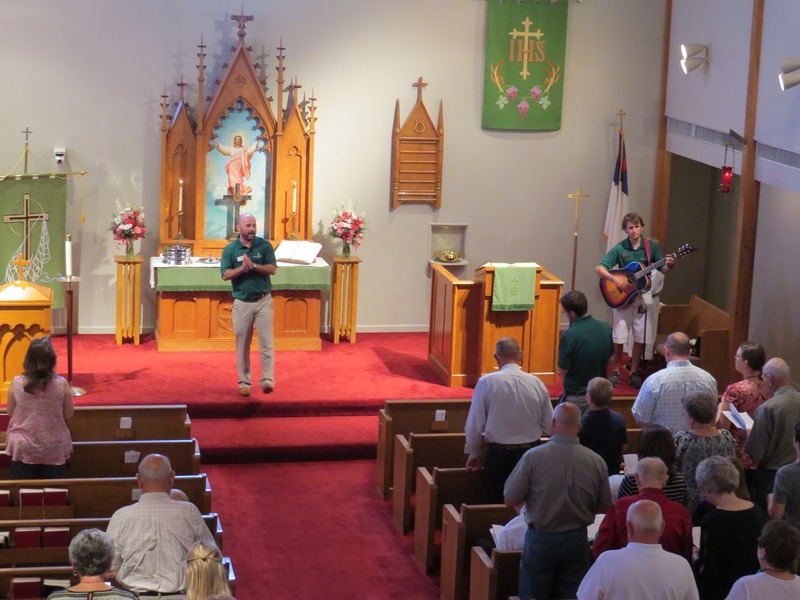 Lutherhill staff members lead the music on Sunday. All of the songs were ones which were sung at camp during the summer 2015. This gave us a taste of the joyful songs which the youth sang while at camp this year. 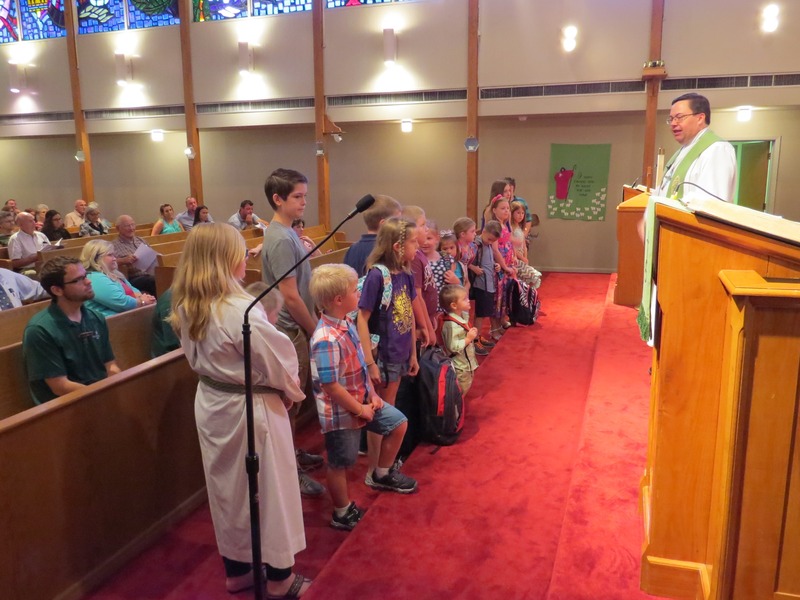 We continued our annual tradition of blessing our students and their backpacks. This Sunday was the weekend just before most of our students returned to school. We invite students of all ages to come forward. From year to year the age range varies depending upon who is present on the day. Some years the grade level ranges from nursery school to graduate school. We are very thankful for the wonderful ministry we do with Lutherhill Ministries. 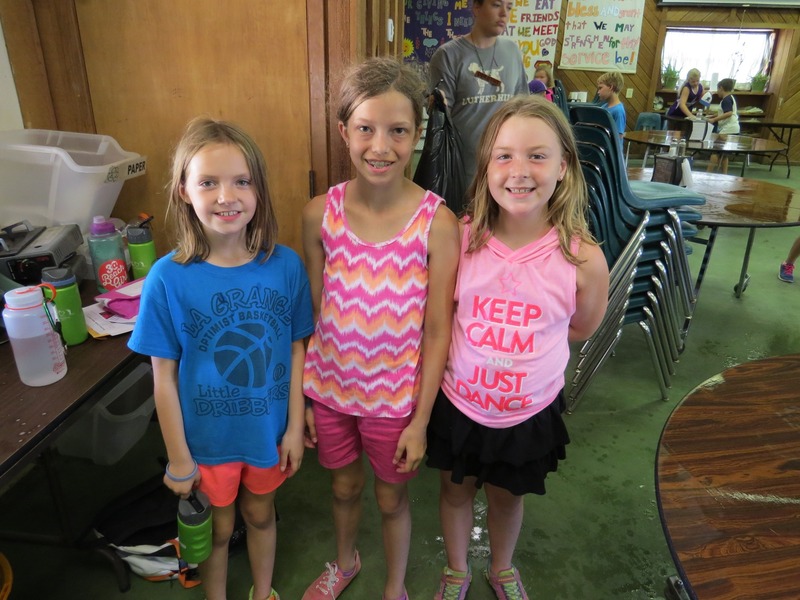 About 15 youth from MLLC attended Summer Camp at Lutherhill this year. We look forward to an even better year in 2016. Here is a photo of three of our youth working on dining hall clean up at Lutherhill in August 2015.